While carrying out activities such as daily chores, working, running errands, or taking care of children, maintaining good posture may be the last thing on a person’s mind. However, neglecting your posture could lead to health problems over time. There are specific muscles in the body, known as postural m uscles that help keep the body upright. Bad posture may lead to overstretching of some muscles, while others may become stiff and tight. When standing, bending, or lifting objects improperly or slouching while sitting, postural muscles begin to overwork. If this happens, muscle pain and joint damage may develop. Research shows that a large number of people suffer from back pain as a result of bad posture. There are certain strategies that can be used to maintain proper posture while engaging in daily activities. These include, making sure your computer screen is at eye level and that the height of your chair allows your hands to be parallel with your desk, especially if you sit at your computer for long hours. 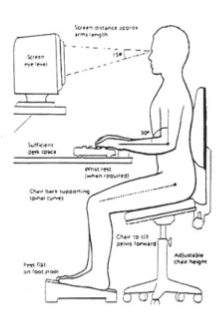 This helps you avoid slouching in your chair or bending forward while working on the computer. When doing housework such as ironing, the ironing board should be positioned in a manner that prevents you from having to bend over. Bending over while vacuuming, sweeping, and shovelling (e.g., leaves or snow) should also be avoided. While driving, the seat should be in a position that allows your back to press comfortably against the back of the seat in an upright position. The upper body should not lean too far forward or backwards while driving, but should be reclined slightly. Bad posture when lifting heavy objects can be especially dangerous. 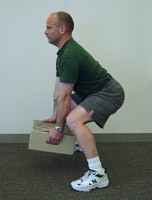 To avoid harmful injuries while lifting, bend at the knees, keep the back straight before lifting an object, and use your legs to stand up with the object. People who work in certain fields may also be more susceptible to health problems due to poor posture. Individuals working in professions that often require a lot of movement, standing for long periods, bending, and repetitive lifting, often suffer from low back pain as a result of bad posture. For instance, individuals who have high intensity jobs in nursing or construction. Research shows that when individuals in these professions receive specialized training (e.g., Physical Therapy) and education regarding how to maintain proper posture while working, the incidence of back pain drastically decreases. If you are experiencing neck, shoulder, or back pain that you think may be the result of poor posture, our trained professionals can show you stretching exercises and Physical Therapy methods that have proven to be useful. Strength training has been shown to reduce pain and improve muscle performance, and individuals can be taught how to consistently use good posture during regular activities through Physical Therapy. Our Physical Therapists would be happy to assess your current physical state and create a program tailored specifically to your needs and goals. Call Dynamics Physical Therapy to make an appointment or to ask any questions you may have. Rosario JL. Relief from Back Pain Through Postural Adjustment: a Controlled Clinical Trial of the Immediate Effects of Muscular Chains Therapy (MCT). Int J Ther Massage Bodywork. 2014; 7(3):2-6. Plamondon A, Larivière C, Delisle A, Denis D, Gagnon D. Relative importance of expertise, lifting height and weight lifted on posture and lumbar external loading during a transfer task in manual material handling. Ergonomics. 2012; 55(1):87-102. Jaromi M, Nemeth A, Kranicz J, Laczko T, Betlehem J. Treatment and ergonomics training of work-related lower back pain and body posture problems for nurses. J Clin Nurs. 2012; 21(11-12):1776-1784. 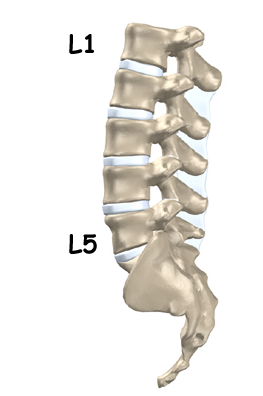 Latza U, Karmaus W, Stürmer T, Steiner M, Neth A, Rehder U. Cohort study of occupational risk factors of low back pain in construction workers. Occup Environ Med. 2000; 57(1):28-34. Hwang JA, Bae SH, Do Kim G, Kim KY. The effects of sensorimotor training on anticipatory postural adjustment of the trunk in chronic low back pain patients. J Phys Ther Sci. 2013; 25(9):1189-1192.